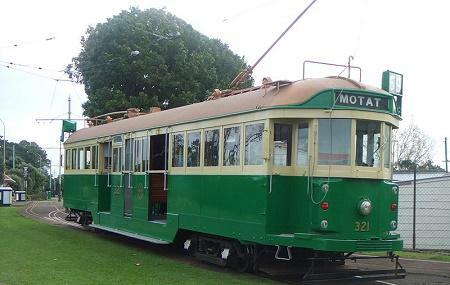 The Museum of Transport and Technology (MOTAT) is New Zealand's largest transport and technology museum of its kind. It is spread over two different locations. On display are many interactive exhibits thus making it a fun experience for visitors of all ages. On display, they have an extensive range of planes, trams, cars and fire engines. They also have many hands-on physics activities for kids. The highlights of the museum are the rides- tram rides, train rides and buggy rides! Last entry into the museum at 4.30 pm. Great North Road near Stadium Road bus stop. How popular is Museum Of Transport And Technology? People normally club together Voyager New Zealand Maritime Museum and One Tree Hill while planning their visit to Museum Of Transport And Technology. They had a cool STEM exhibition, so lots to try and touch and play with. Good activities to bring science and technology to life! Lots to explore. Staff are helpful and friendly. Toilets and facilities tidy and clean. Cafe has a big range of food and drink. Cherry on top was free entry for educators and family, thank you!!! Don't have much time to go and have a look at the other museum but will definitely be coming back as there was things for kids to do like the treasure hunt and got a badge out of 6badges when complete. Great outing for the family to do and must bring a picinc. What a lovely day it turned to be on good Friday. AA members get a discount a bonus. There is so much to this place that all ages can enjoy. You can have a totally different experience every time you go there. Take your own food and find a nice spot for a picnic. Good place to visit one time! Weekend special activities are an attraction for younger kids. Many cars and planes on display. A toy train runs in the centre of the park. There is also display of fire engines. There are 2 parts of the park connected by a tram. Tram ride is enjoyable and gets you to the site where airplanes are on display.